After a hike along Hadrian’s Wall and a visit to Housesteads fort, we plumped for Vindolanda in the afternoon simply because it was close. Turns out it was a must-see, missing it off would have meant missing out big time. Set in a picturesque valley just one mile south of the wall, this is a once buried Roman fort, now partially excavated. Lots of ruins plus a bright, modern and fascinating museum it was Son’s highlight of the whole trip. It is perfect for children (and adults) who find it hard to picture a teeming Roman fort and bustling village when you are looking at piles of stones. 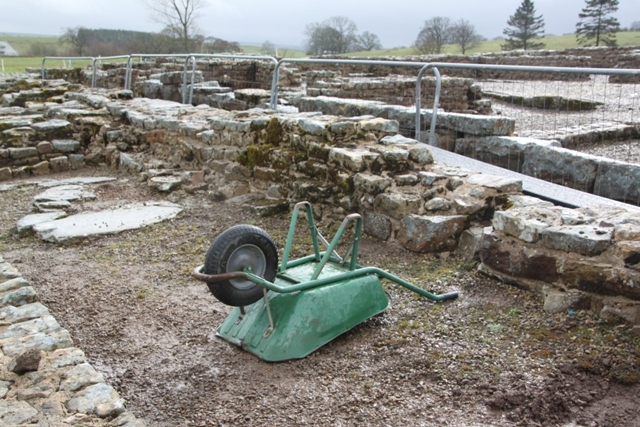 Vindolanda solves that problem. We arrived just after 2pm, perfect timing as one of their (2) daily tours had just started. We sneaked in at the back. Our guide walked us all around the fort and the ruins, explained the layout and “buildings” and gave stacks of history and fascinating anecdotes about life here in Roman times. 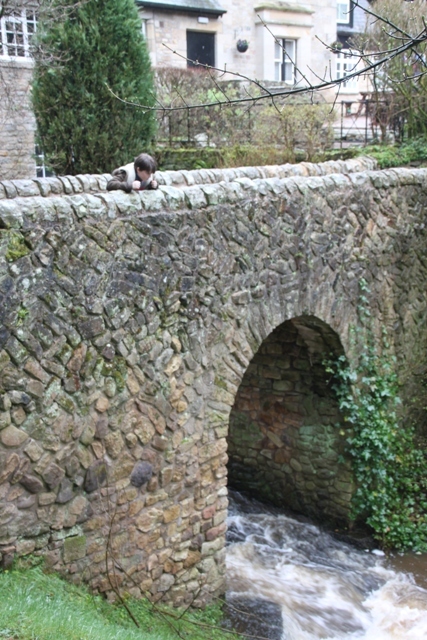 Son hung on every word, the time flew past for all of us. We walked down the “main street”, saw the butcher’s shop, pub and soldiers’ quarters. We heard about the body of a child found underneath the barracks, presumably murdered as the Romans never buried their dead near the living. 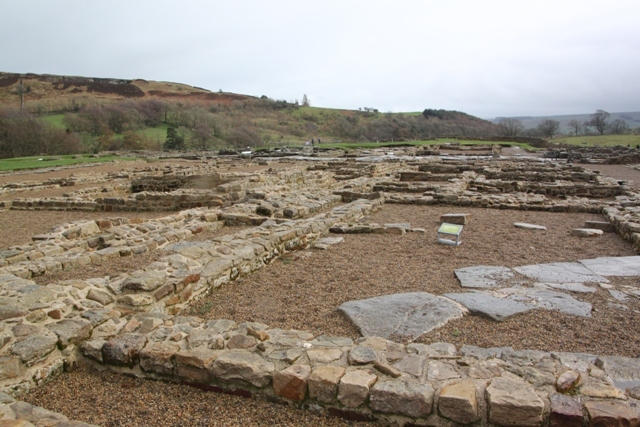 Excavations were taking place – this is one of the few places in the UK where you can watch live excavations. They dig for 6 months, people pay to do it, certain they will find something special. 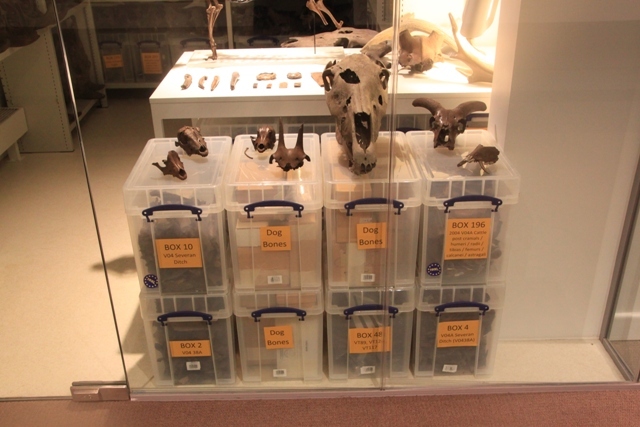 It is so popular amongst budding archaeologists that slots sell out within 20 minutes of opening. If you fancy trying your hand at digging for Roman treasure, no time pressure. It will take a further 200 years for the whole site to be totally excavated. We had refreshments in the gorgeous little tea room then set out to explore by ourselves. 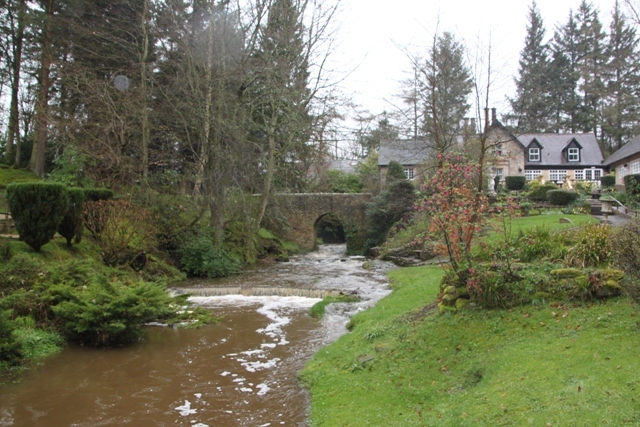 The setting is beautiful – a waterfall and stream run past the main museum buildings. They have replicas of a Roman house, shop and temple where you can go inside and “listen” to the occupants’ conversations. We found a replica of the wall as well where you can climb up to the look-out post. The museum was wonderful, so much interesting “stuff” on display and a very eclectic collection. Apparently this is just the tip of the iceberg – they have warehouses full of items all found here. 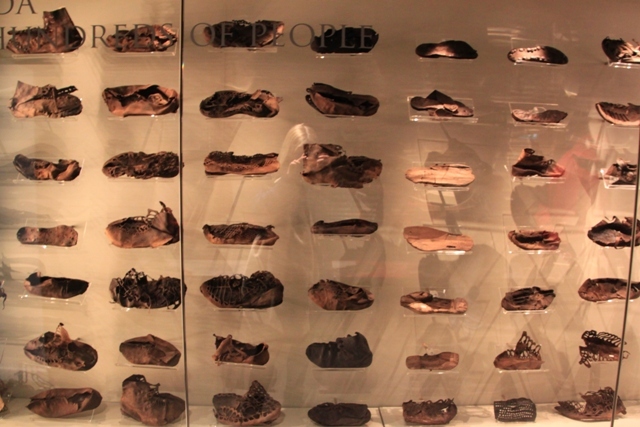 I loved the collection of leather shoes, hundreds of them but they only ever found one pair. Check out that cute baby shoe too. They have displays of a more gruesome nature too if that is your thing. 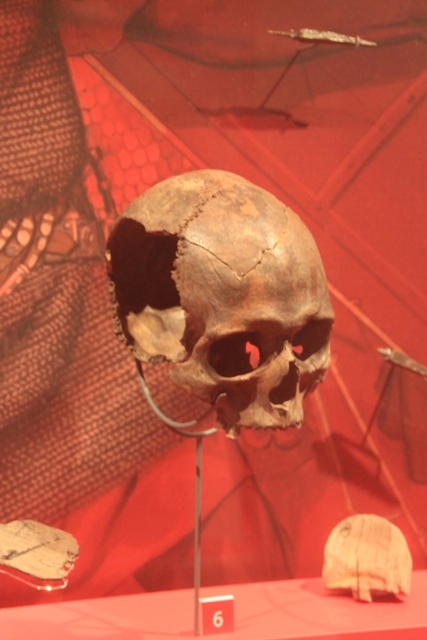 A skull that was once on a post at the entrance to the fort and the skeleton of the murdered child amongst other horrors. 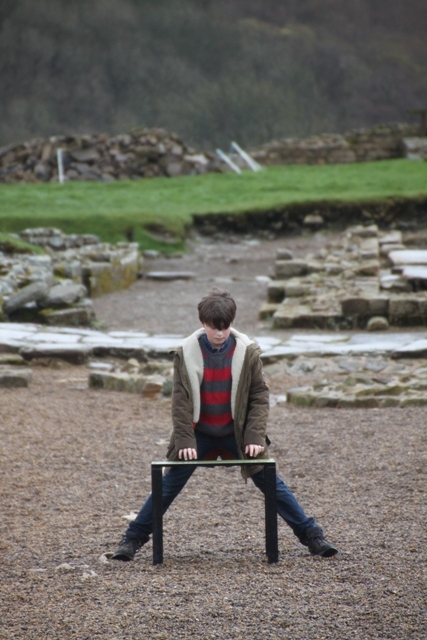 They save the best for last – the Vindolanda writing tablets. Husband and I were shamed by Son, he proceeded to tell us more than we knew (and thought he did) about these. Relief indeed, a sign Minecraft has not entirely won in the battle for his brain. The tablets are basically very thin wooden postcards, sent between family and friends and the most famous discovery here. They are displayed in state of the art sealed cases and have been voted by experts as “Britain’s Top Treasure.” They include shopping lists, a birthday invitation and the soldiers complaining about the grim Northumbrian weather (nothing changed there then!). It was so amazing to see a few on display and to look at what is the oldest handwriting in Britain. Closing time came around too soon – they had to virtually throw us out. 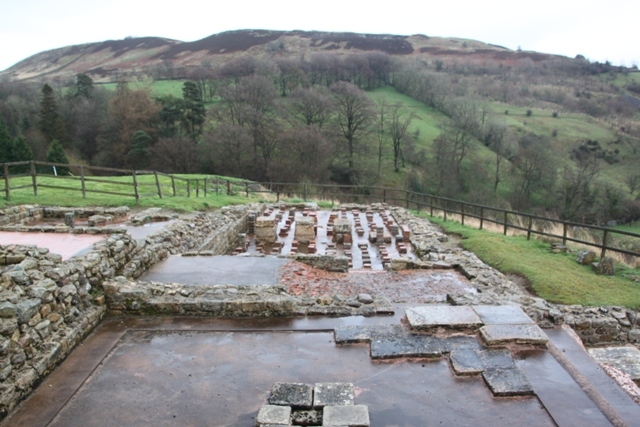 Vindolanda is fascinating, I can’t believe we nearly didn’t go. So much to see you really do leave with an understanding of what life must have been like there back in Roman times. This place is unmissable. Another place to put on my list! The sandals remind me of a rebuilt Roman fort-museum nearby us in Germany, part of a fortified wall system called the Limes. Fascinating stuff. Oh that sounds like one for our list as well Jennifer – thanks for the info! Anna it is absolutely wonderful, I definitely recommend it. Northumberland is also such a stunning place (and a bit of a well kept secret), I’m sure you and your kids would love it there. Thank you so much for the Beamish link! I went there years ago with my parents, but it had dropped off my radar and would so much love to bring my son there. So really appreciate the link! I have been wanting to one day join the volunteer excavators on this site. It looks so fascinating. It looks like an amazing experience – apparently you are guaranteed to find something, how wonderful is that! It was volunteers who found the Vindolanda tablets but I just find it mind blowing that you could dig here and unearth a perfectly preserved Roman item! Unfortunately it’s not a cheap experience, and the minimum duration of stay is 2 weeks, which will take up almost half of my yearly leave allowance. I hope they will still have something to dig by the time my daughter is old enough to join me. 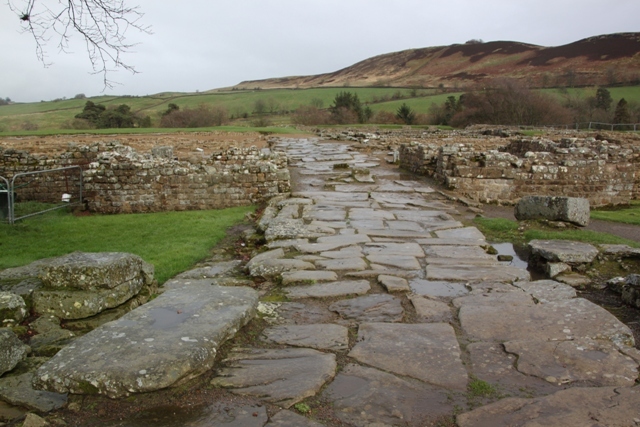 Vindolanda was a Hadrian’s Wall highlight for us too and I always tell people to put it on their “must see” list when they are traveling in that area. The tablets are amazing. It looks like you got good weather for your wanders. It was raining and the site partially flooded when we were last there. Incidentally, having also been to Pompeii (husband is a complete Romaphile) there really is no comparison. Hadrian’s Wall is fantastic but Pompeii is incredible on a whole other level. You really must go and see it some time. I get the feeling your family and mine like the same sort of travels so I am confident you would find it utterly breathtaking. I would love so much to go to Pompeii and Herculaneum I can’t tell you how much!! A friend of ours is going tomorrow for the spring bank holiday school break and we are so jealous. We just never seem to have been able to get the flights to match with school holidays. I agree, I think our families definitely do like the same sort of holiday, so I will try harder than ever to go there now!! Yes, travel tied to term times is such a pain in the rump. Even before I had kids, I was a teacher so we have always had to pay a premium. We went to the Bay of Naples area during the October break which meant we still had lovely weather but it was more affordable. When you do go I have this advice: don’t drive along the Amalfi Coast. That experienced shaved years off my life and gave me cause to learn the Italian for “we have a flat tire”. Much better trip by boat. Great advice, actually I would probably have opted to drive so appreciate that!!! We will plan in the boat trip. Have a great weekend. This place looks great. I hadn’t heard of it before although I was lucky enough to see Hadrian’s Wall once traveling across England, Scotland and Wales. Thanks for the write up. It’s a great place to visit and have history come to life – thank you for reading! Interesting and historical place, again! I like it. Seems like another wonderful place to visit in England. We love any opportunity to see real archaeology in action; ever since the kids got to participate in some archaeology activities at the Fortress of Loiusbourg in Nova Scotia, Canada, they’ve been hooked. Pompeii would be amazing – heard so many good things about Herculaneum too. We loved Croatia, we only saw a tiny part spending our time in Istria, it’s wonderful but Dubrovnik is high up on my list for a next trip! Wow – it’s amazing to hear of people paying to do it. I can see why, although my friend who studied anthropology and then afterward had to start paying his own bills had a different take on the situation. Still. Not to disregard the specialness of the place or anything, but the thing it reminds me of most is that British skit comedy team that had a member dress up as a Roman and then they called a series of builders out to a similar site to get quotes on how much it would cost to “fix the place up”. That probably actually did happen too in real life!!! That was fascinating! 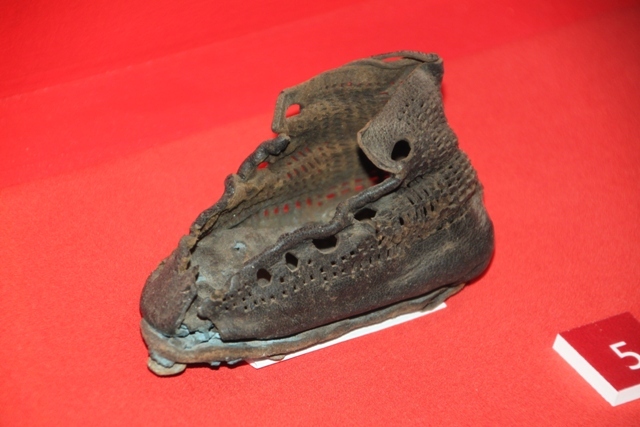 The preservation of the tablets and the shoes is incredible. Thanks for bringing us along! It’s such an amazing place – thank you for reading! 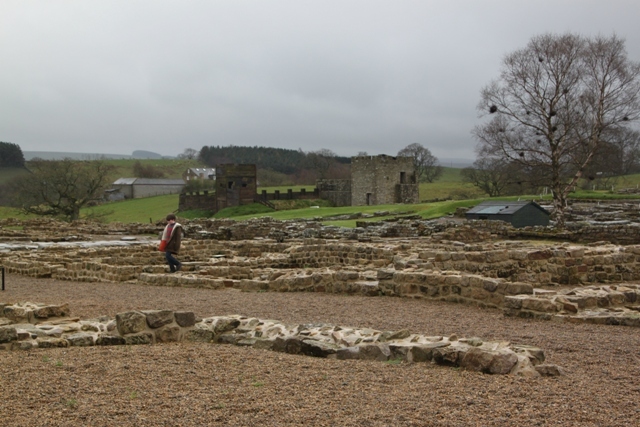 Thanks for the great review of our Vindolanda site and museum. We have a great website where people can find our about volunteering and much more http://www.vindolanda.com happy travelling. 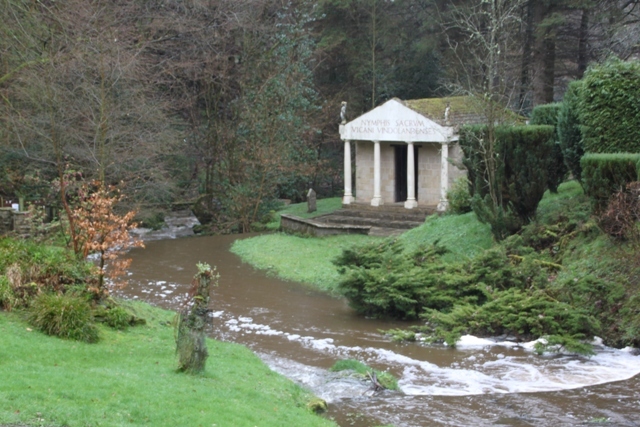 Oh behalf of the Vindolanda Trust. 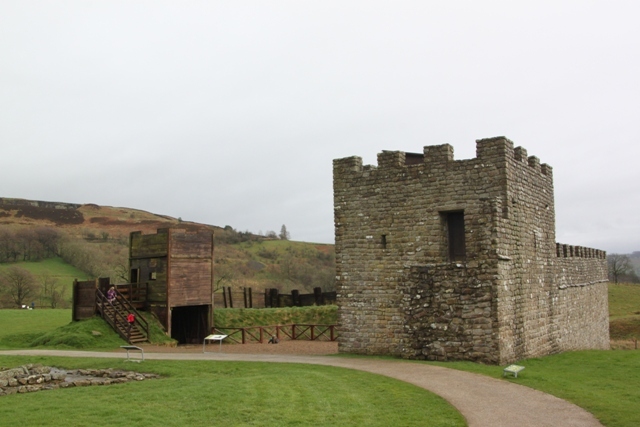 We had such a great day out at Vindolanda Sonya I couldn’t recommend it highly enough. I’ll keep this in mind — definitely worth visit. Thanks for liking my blog. Thanks for coming by here Leah. One of the tablets is an invitation to a birthday party from Claudia Severa to her sister Sulpicia Lepidina at Vindolanda. 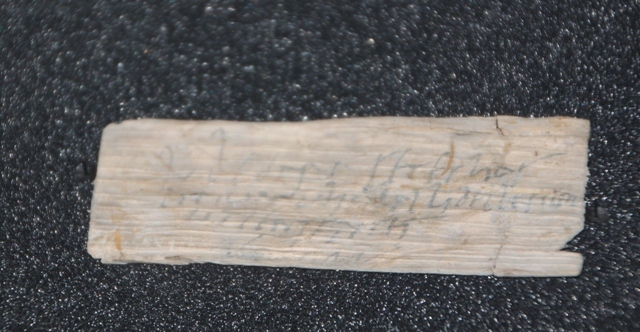 The first part of the text appears to have been written by a scribe taking dictation but the final sentence is a personal message from the woman herself and written in a different hand: “Oh how much I want you at my birthday party. You will make the day so much more fun. I do hope you can make it. Goodbye sister, my dearest soul.” It dates from about 100AD (twenty years before the wall was built when Vindolanda was a frontier fort) and is the earliest known writing by a woman in Britain. Vindolanda is a very special place and gives an insight into the lives of its community – the men women and children living in this distant outpost of the Roman Empire. Do visit it if you can.